In Jane Austen’s time, this building was another one of the main entertainment venues in Bath. 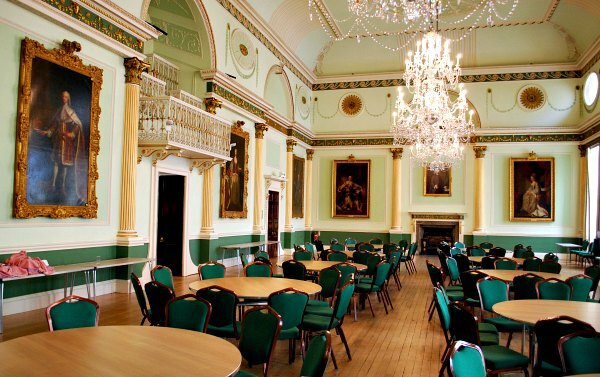 Dances and balls frequently took place in the Assembly Rooms, the Pump Room and the magnificent banqueting room on the first floor of the Guildhall. Despite the Guildhall being the civic offices of Bath these days, this room retains its original beauty and it’s free to visit. Just ask the receptionist before you head up the stairs to make sure the room isn’t being used for a private function. The other highlight of the Guildhall is the traditional indoor market where you can buy pretty much anything. This is an extract from our free Bath City Guide. 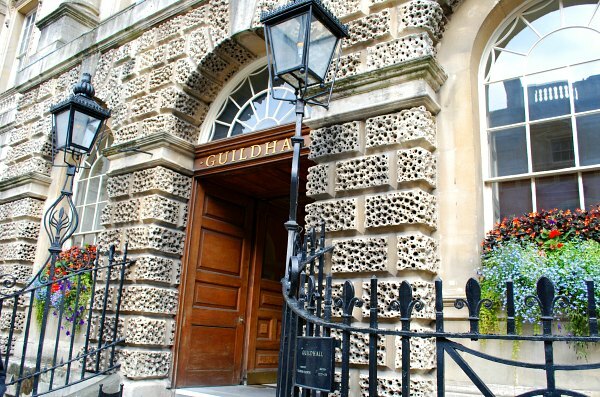 The Guildhall was built in the late 1770s by architect Thomas Baldwin and is crafted from the beautiful, caramel-coloured Bath stone which adorns so many historic buildings in the city. The Banqueting Room is the largest and most impressive room in the building and boasts original Royal oil paintings on the wall and many original Georgian features. The other significant historic room to see is the Aix-en-Provence Room which adjoins the Banqueting Room. Sometimes this is used as a bar area for functions, but is a pretty period room in itself. 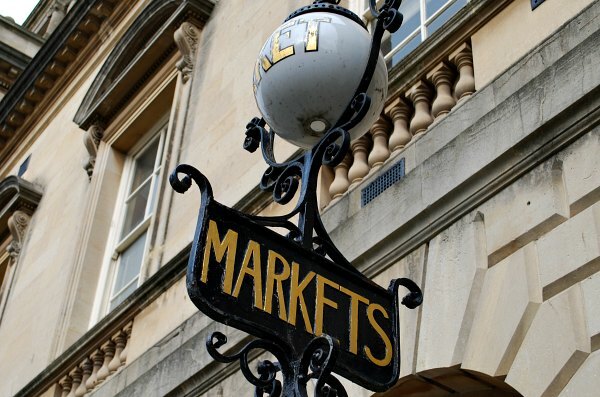 We love a good market and Bath certainly has one inside separate gateways in the Guildhall. The market here has been operating for 800 years but when the Guildhall was built, it became the new home of the market. Apart from the traditional stalls selling fruit & veg, home wares, flowers etc, the striking feature here is the huge domed roof. Make sure you look up when you visit! This roof, supported by ornate ironworks was added in 1863. The Guildhall is open Monday to Friday from 9am to 4pm. Ask at reception if you can visit the Banqueting Room. 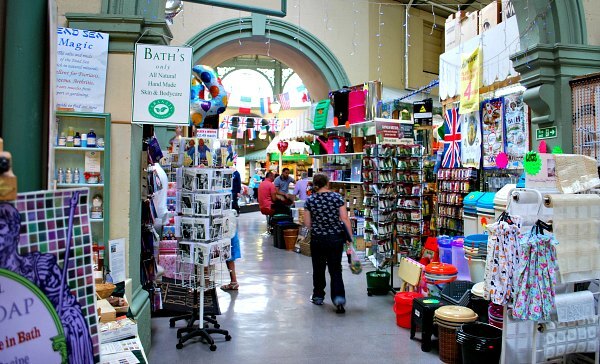 The Guildhall Market is open Monday to Saturday from 8am to 5.30pm. Admission is free.